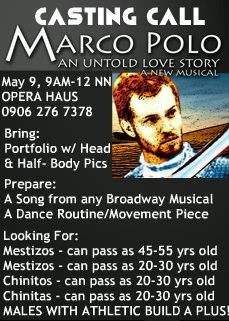 You can read the background and previous shows of Marco Polo the Musical here. 2nd audition is scheduled on May 16, 2014. Check details here.